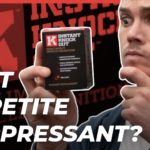 Home » Instant Knockout Fat Burner Review – The Best Appetite Suppressant? Instant Knockout Fat Burner Review – The Best Appetite Suppressant? The marketing is very MMA-centric, but anyone can use this glucomannan-based supplement. We take mixed martial artists seriously and when they’re recommending a fat burner, our ears perk up. Today, we’re going to discuss Instant Knockout, a fat burner product that could actually help to produce weight loss if used judiciously. We know that’s a controversial statement to make but once you read our review below, you’ll see what we mean. Here we’ll discuss the brand, the ingredients, the potential effects you might be able to expect from this, the price, and some pros and cons. Above all, Instant Knockout is very high in glucomannan, an ingredient that has solid evidence as an appetite suppressant. Since consuming fewer calories is the most important component of weight loss, we’re confident this could be useful to some consumers, provided you’re still mindful of your calorie intake. This fat burner is dosed heavily with glucomannan, green tea (though no mention of EGCG), green coffee, cayenne, and black pepper. 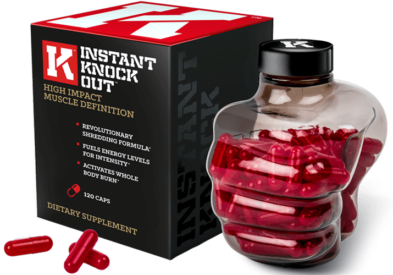 So Instant Knockout’s whole brand and indeed their whole bottle, is shaped around fighting. If you’re unaware, many combat sports have rigidly set weight classes to help ensure that a tiny person isn’t fighting against someone twice their size, so when you turn up to fight you just have to be under a certain weigh. Otherwise you probably won’t be fighting anyone. So weight cuts are familiar for many fighters and Instant Knockout has testimonials from mixed martial artists John Dodson III and Diego Sanchez, who claims it helped him to drop 45 pounds. 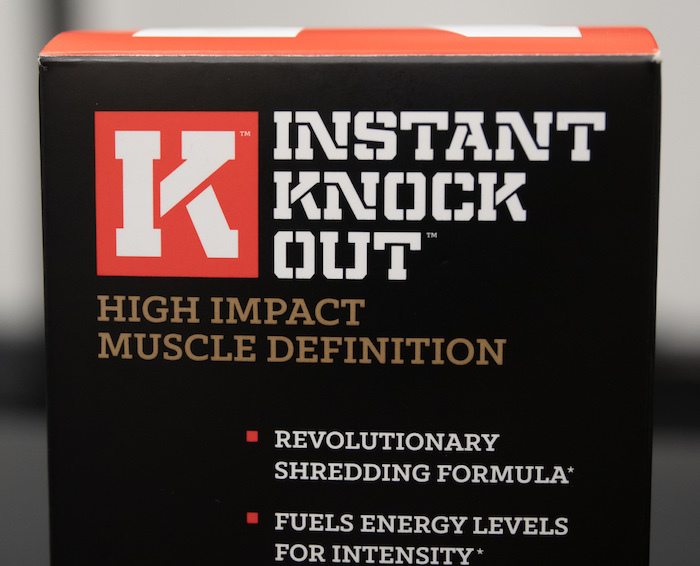 Instant Knockout’s specially selected, proven ingredients, don’t care if you’re male or female. 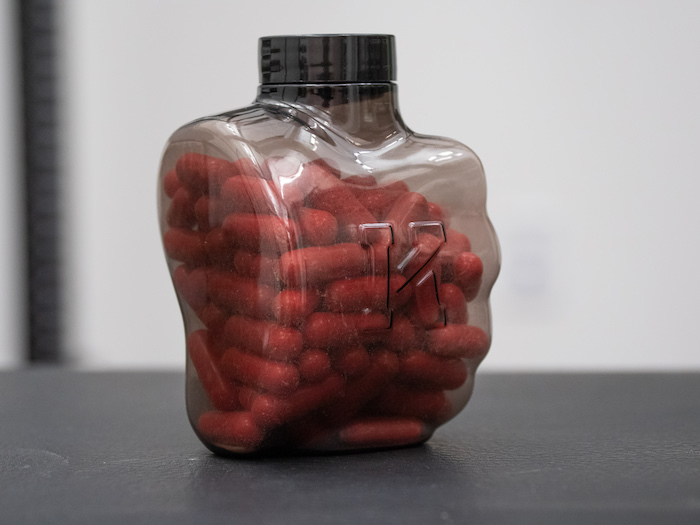 There are some hormonal differences between men and women and how much they matter to fat burners remains a complicated question, however Instant Knockout contains a lot of the same ingredients that are found in Leanbean, which is one of the most female-focused fat burners on the market. So let’s take a closer look at these ingredients. These kinds of supplements typically work in one or more of four categories. 1. Appetite suppression: Decreasing hunger. 2. Thermogenesis: Causing you to burn more calories at rest. 3. Decreased calorie absorption: Fewer of the calories you consume absorb. 4. Increased fat oxidation: We usually burn fat or carbs for energy — this coaxes the body to burn more of its fat. Note that dosage is also very important; we ensure that a product measures up to the amounts found in studies to be effective. 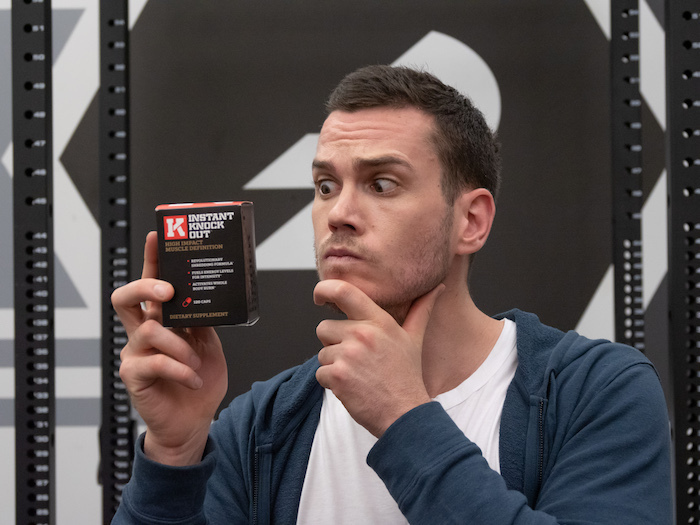 Above all, it’s crucial to note that the world’s most effective fat burner is unlikely to produce more than a couple hundred extra calories burned, and far and away the most important part of weight loss is keeping an eye on your calories. You need to consume fewer calories than the body burns. If you do this, you’ll lose weight with or without a fat burner. 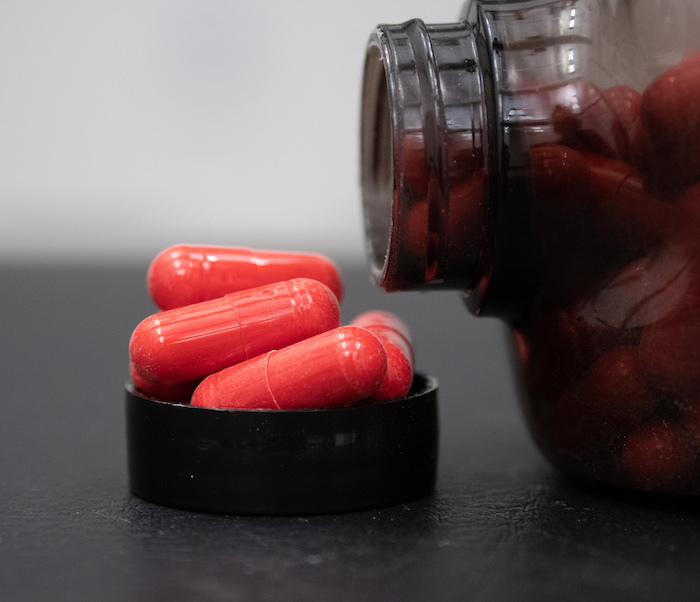 But these supplements can make the process a little easier, provided they’re used judiciously, weight loss is gradual, and you check in with a physician or healthcare professional before you begin taking them. So how do the ingredients in Instant Knockout work? You’re meant to take 4 capsules per day, two at a time. Here’s what you’ll have consumed by the end of one day. Other ingredients: HPMC, silicon dioxide, magnesium stearate, FD&C Red 40. Let’s look at what are, in our opinion, the most effective ingredients. This is the star ingredient. Made from the root of the Japanese konjac tree, it expands in the stomach and thereby helps to decrease hunger. One study published in the International Journal of Obesity reported that two doses of 500 milligrams per day helped obese people lose more weight than a control group, even though they didn’t make any other changes to their diet. 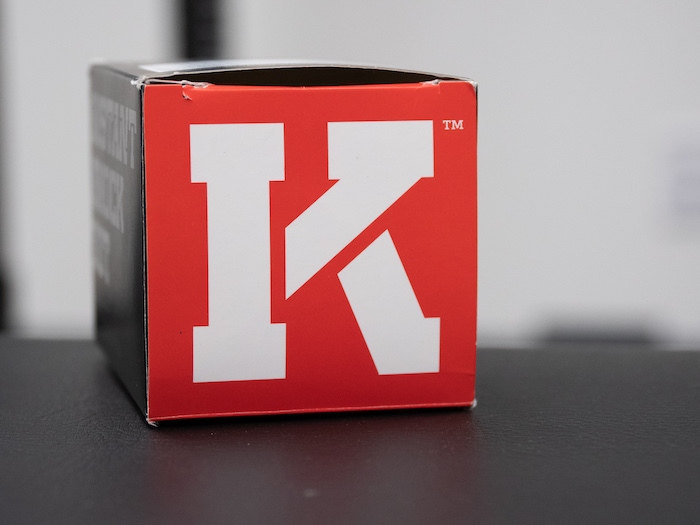 (1) Instant Knockout has almost two grams of it, so we’re confident that this can help to curb hunger. It’s not uncommon to hear that because it absorbs water, it can produce thirst in some folks. Besides that there are very few side effects associated with it. Caffeine has a link with increased fat oxidation and thermogenesis. (2) This may be because it appears to increase adrenaline (which helps break down fats), and a study in the American Journal of Clinical Nutrition found that 100 milligrams increased calorie burn by between 75 and 150 extra calories. (3)(4) There are 300 milligrams of caffeine in a day’s worth of Instant Knockout — this may be a con for some folks who don’t tolerate or enjoy the stimulant. Fat oxidation. A double blind study from the American Journal of Clinical Nutrition, for example, saw a 17 percent increase in fat oxidation with 366mg of EGCGs, a powerful antioxidant and the active ingredient in green tea. (8)(9) An issue with Instant Knockout, however, is that it doesn’t specify the EGCG content. Some studies have found this can decrease calorie absorption in the area of one to two hundred calories. (10)(11) The active ingredient here is chlorogenic acid, but the chlorogenic acid content isn’t quantified either. It is indeed true that not getting enough B12 and some other B vitamins can cause these symptoms but the key word here is ‘not getting enough.’ If you’re deficient — which is unlikely — these can be symptoms, but taking lots of it won’t supercharge your strength and focus. 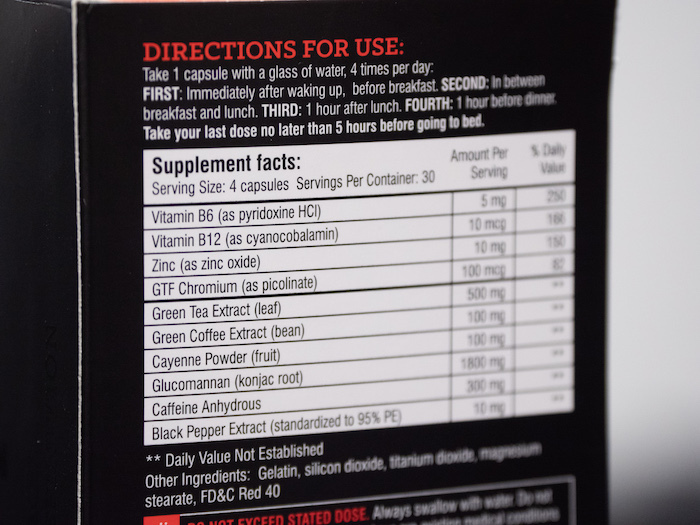 Similarly, the zinc is included here to help with testosterone production and while low zinc may result in low T, this doesn’t mean that extra zinc results in supraphysiological T.
It’s hard to compare different the cost of fat burners to other fat burners because they vary so much in ingredients, but on average they cost about $1 per day. 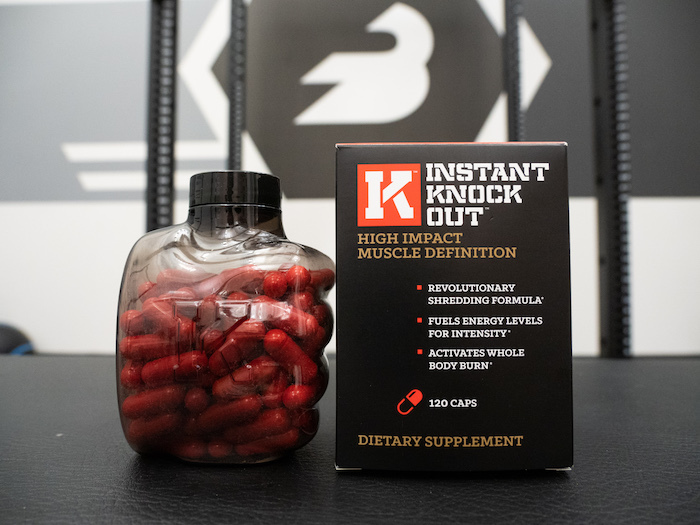 Instant Knockout emphasizes bulk deals, so if you get three jars at a time they throw in a fourth for free. That bundle results in a cost of between $40 and $50 per bottle or roughly $1.50 per day. If you just want one bottle at a time it’ll cost between $55 and $65 or so, so about $2 a day. That’s pricy, but I think this is one of the most effective fat burners on the market, so I’m not complaining too much. I was disappointed that the labeling wasn’t super transparent with regard to EGCG or chlorogenic acid, but I think there’s enough going on here in the ingredients for this to be worth a buy. Above all it seems to be a very effective appetite suppressant, which I think is much more important than a product helping to increase fat oxidation or thermogenesis. Hunger is the biggest hurdle for weight loss and this may go a long way to helping to overcome that issue. Just keep an eye on your calories regardless. 1. Walsh DE, et al. Effect of glucomannan on obese patients: a clinical study. Int J Obes. 1984;8(4):289-93. 2. Schubert MM, et al. Caffeine, coffee, and appetite control: a review. Int J Food Sci Nutr. 2017 Dec;68(8):901-912. 3. Lane JD, et al. Caffeine affects cardiovascular and neuroendocrine activation at work and home. Psychosom Med. 2002 Jul-Aug;64(4):595-603. 4. Dulloo AG, et al. Normal caffeine consumption: influence on thermogenesis and daily energy expenditure in lean and postobese human volunteers. Am J Clin Nutr. 1989 Jan;49(1):44-50. 5. Janssens PL, et al. Capsaicin increases sensation of fullness in energy balance, and decreases desire to eat after dinner in negative energy balance. Appetite. 2014 Jun;77:44-9. 6. Chaiyata P, et al. Effect of chili pepper (Capsicum frutescens) ingestion on plasma glucose response and metabolic rate in Thai women. J Med Assoc Thai. 2003 Sep;86(9):854-60. 7. Galgani JE, et al. Effect of dihydrocapsiate on resting metabolic rate in humans. Am J Clin Nutr. 2010 Nov;92(5):1089-93. 8. Thielecke F, et al. Epigallocatechin-3-gallate and postprandial fat oxidation in overweight/obese male volunteers: a pilot study. Eur J Clin Nutr. 2010 Jul;64(7):704-13. 9. Venables MC, et al. Green tea extract ingestion, fat oxidation, and glucose tolerance in healthy humans. Am J Clin Nutr. 2008 Mar;87(3):778-84. 10. Onakpoya I, et al. The use of green coffee extract as a weight loss supplement: a systematic review and meta-analysis of randomised clinical trials. Gastroenterol Res Pract. 2011;2011. pii: 382852. 11. Thom E. The effect of chlorogenic acid enriched coffee on glucose absorption in healthy volunteers and its effect on body mass when used long-term in overweight and obese people. J Int Med Res. 2007 Nov-Dec;35(6):900-8. 12. Han HK. The effects of black pepper on the intestinal absorption and hepatic metabolism of drugs. Expert Opin Drug Metab Toxicol. 2011 Jun;7(6):721-9. 13. Kim J, et al. Piperine enhances carbohydrate/fat metabolism in skeletal muscle during acute exercise in mice. Nutr Metab (Lond). 2017 Jul 4;14:43. 14. Park UH, et al. Piperine, a component of black pepper, inhibits adipogenesis by antagonizing PPARγ activity in 3T3-L1 cells. J Agric Food Chem. 2012 Apr 18;60(15):3853-60.